Setup/Migration - Setting up a new system and migrating all your data to it can be a daunting task. We'll get you back on the Internet, with your documents, email and bookmarks intact. Security - Virus', Spyware, Pop-ups, Trojans, Hackers; These are the unfortunate realities of the Information Age. Getting your system clean and keeping it that way is the key to reliable, stable computing. There are numerous tools, both free and commercial that can keep your system healthy and safe. Repair - Nothing is more frustrating than having your computer fail when you need it. We'll get you up and running fast with a solution that will address both the symptoms and the cause of the trouble. 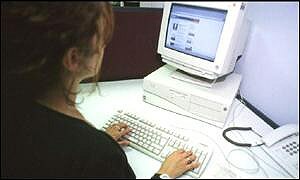 Backup - The vast majority of computer users have no backup of the data on their systems. Complete backup of your valuable data is easy (even automatic), simple and very affordable. Maintenance - You paid good money for your software. Updates are constantly being released to both your operating system and your applications that are necessary to both the security and stability of your computer. Regular backups, proper security and maintenance updates can prevent most problems before they happen, and make recovery easy if you do have an issue.